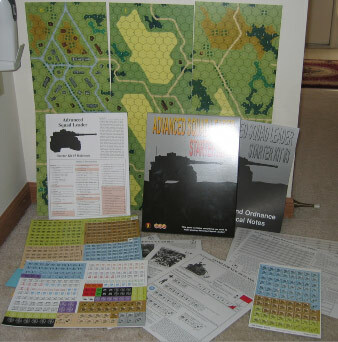 The Advanced Squad Leader Starter Kit #3 (ASLSK3) concludes the Starter Kit trilogy by introducing AFVs to the infantry and artillery pieces introduced in earlier modules. As with ASLSK2, ASLSK3 contains a complete rules manual, meaning that one need not purchase either of the earlier two starter kits before trying ASLSK3. However, with 28 pages of rules, the ASLSK3 is a fairly big bite to chew off, and beginning players might with to start with one of the earlier Starter Kits before moving to ASLSK3. The big draw for the third Starter Kit are the AFVs, allowing novice ASLSK players to duke it out with Shermans and Tigers. Only a small number of AFVs (all of them tanks, except for two German and one British armored cars) are represented in the module. There are 14 U.S. tank counters (all of which are Sherman variants), 4 Italian tank counters (representing two types of vehicle), 44 German tank and armored car counters (including two Tigers and four Panthers), 9 British AFVs (most of which are Shermans or Stuarts), and 32 Soviet tanks (most of which are T-34s or Shermans). 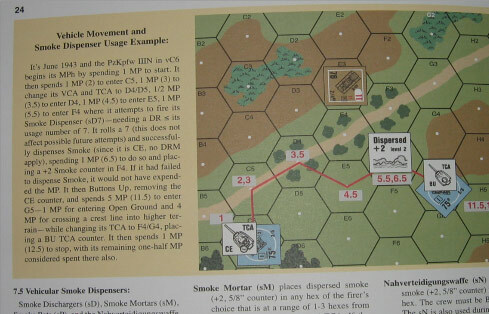 MMP also provides the full Chapter H notes for each AFV in a small booklet. Unlike Chapter H, however, it is printed in black and white. 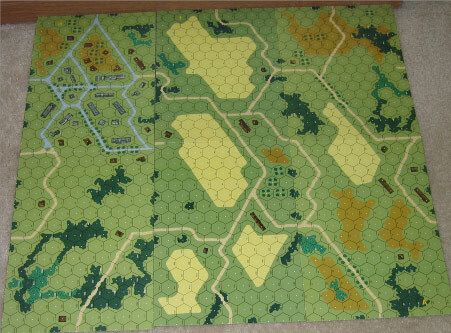 As in previous ASLSK modules, the scenarios are a mix of actions, including Crete 1941, Hungary 1944, Lithuania 1941, Sicily 1943, Arnhem 1944, Soviet Union 1943, Soviet Union 1944, and France 1944. Not all of the scenarios use AFVs; one is infantry only (so a player who buys ASLSK3 as his first module will not have to learn all the vehicle rules immediately). One scenario is an all-AFV scenario. Because of the addition of vehicles, Starter Kit players will probably find that the scenarios play a little bit more slowly than previous Starter Kit scenarios. S22 Another Summer’s Day ERRATA: German Group 1 should have only 1 50mm MTR, not 2.